After a traumatic birth, Lauren is alone on the maternity ward with her newborn twins. Her husband has gone home. The nurses are doing their rounds. She can’t stop thinking about every danger her babies now face. But all new mothers think like that. Don’t they? A terrifying encounter in the middle of the night leaves Lauren convinced someone or something is trying to steal her children. But with every step she takes to keep her babies safe, Lauren sinks deeper and deeper into paranoia and fear. From the stark loneliness of returning home after birth, to the confines of a psychiatric unit, Lauren’s desperation increases as no one will listen to her. But here’s the question: is she mad, or does she know something we don’t? Loosely inspired by the ghostly folktale The Brewery of Eggshells, where a mother becomes convinced her twins are in danger, Little Darlings offers a fresh perspective on modern motherhood, postnatal psychosis and the roles women play. It has always been thus: folk tales do not spring from whimsy; they warn us and teach us, and speak to the fear in us all. 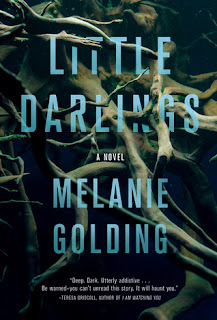 I could not ignore the buzz on social media about Melanie Golding's debut, Little Darlings, so, despite my toppling TBR pile, I hot-footed it over to NetGalley for a copy and started to read it the minute it dropped on my kindle. Unable to put it down, 24 hours later I released the breath I had metaphorically been holding as I turned the final page. What an absolute creepfest! Despite having nothing in common with her, I really felt for the character of Lauren. Not only has she given birth for the first time, but she has double trouble in the form of twin boys. On her first night in the hospital after the birth, she hears a mother in the cubicle next to her eerily singing to another set of twins. When Lauren gets out of bed to ask the mother to keep the noise down, she is unprepared for what she sees and hears...a threat that her own perfect boys will be swapped for the monsters in the other mother's basket. Blaming stress of the birth and postnatal psychosis, nobody believes that this even happened...then the boys change, but only Lauren notices the difference and she will do ANYTHING to get her sweet babies back. Oh my word! These creepy babies will give me more nightmares than the Chucky doll ever did. The way they didn't cry like normal babies but watched every movement made my skin crawl and, along with DS Joanna Harper (who has her own baby shaped demons), I had no hesitation in believing Lauren's story. Was I as deluded as Lauren? You can make up your own mind when you read Little Darlings. I love how the story is loosely based on the Welsh fairytale, Brewery of Eggshells. Any book that has me rushing off to google gets a big thumbs up as it just shows how intriguing and effective the story is. It also brings a hint of realism (even though it is based on a fairytale) and just maybe this could actually happen. EEEEEK!!!! 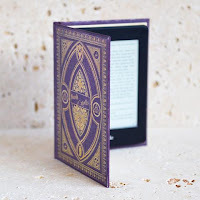 Little Darlings is so creepy that as much as you want to hide behind the sofa, you can't tear your eyes from the page until you have devoured every single word and turned the final page. It's an outstanding debut that has me eager to see what Melanie Golding comes up with next. Do not miss this intriguing, addictive, dark, creepy and scarily believable story that may very well give you nightmares!